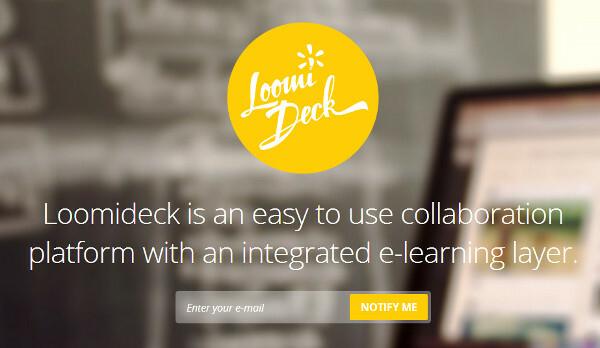 Loomideck, a collaboration platform with an integrated e-learning layer that comes from the Lithuanian Eruditus is getting ready to launch in July. Eruditus had a few ups and downs with its e-learning platform, and subsequently gained significant traction in Middle East with Cloud Campus, the project based on the Eruditus technology. We connected with the founders to learn about their story. Back in 2010, Mantas Ratomskis, the CEO and co-founder of Eruditus was inspired to find a way to combine education and social media. As a result, they pitched their idea of bringing K-12 education to Facebook and managed to raise $400,000, despite not having a product and not having yet incorporated. Ratomskis tells us that they knew that they needed to find a partner, so they incorporated by the end of 2010 and they found their partner in Young Digital Planet. Despite not even having their Eruditus project up and running, Ratomskis and his team were surprised to be included in the upcoming educational platform “myeverCLASS” and offered the rights to the markets of Poland and the United Kingdom. He says that they re-worked their key focus in September 2011 and launched in Poland and the U.K. Well, it was a disaster. Despite having the product that they wanted, they managed to obtain zero traction and it immediately began to seem like a hopeless situation. Fortunately, things begin to turn positive at this point. Although their initial partnership did not pan out as they had hoped, Ratomskis says that they received an email from Lebanon-based e-learning service Global Learning with interest in developing a partnership for the entire Middle East. This led to Global Learning licensing the Eruditus platform for e-learning. At this point, disaster strikes again, as war in the region threatens the Lebanese economy and their new-found partner. Fortunately, the situation again turn positive as Global Learning relocates to Dubai and continues its operations. Once their partner relocated to Dubai, they began to develop, in collaboration with Hamdan Bin Mohammed University, an e-learning project called Cloud Campus, which aims to increase the literacy rate of the Middle East region. Ratomskis says that this project is built upon their technology and that within 2 years they will be serving the entire Middle East region. Just as importantly, this has enabled them to become cash-flow positive and will allow them to continue to develop their next project, Loomideck. Loomideck has been described to us as “Basecamp with an integrated e-layer”. This new service is described as enabling teams to not only collaborate on work, but to train members of the team in any subject required. To start, Loomideck will offer packages at 3 different price points (15 euro for startups, 50 euro for e-learning, and 100 euro for corporate). More information can be found on their website, but the difference is in the number of groups for whom the service is needed and the amount of storage that the customers will have available. As far as competition is concerned, Ratomskis tells me that he believes that their primary competition comes from services like Basecamp itself and Collab. The difference is that, unlike the many services which immediately target the American market, his company hopes to establish itself first in the Middle East and then go from there (with north Africa and the rest of the Gulf region as likely targets for expansion). The company has obtained a total of $500,000 (387,000 euro) thus far from AL Holding, the largest education-oriented publishing house in the Baltics, Business Angels Fund 1, and a private investor. Clients for their cloud-campus service currently include Zain Group, Emirates National Bank of Dubai, ARAMEX, HBMeU, and Sharjah Islamic Bank (which provides this as a VAS for their clients). Ratomskis says that their goal is to have 500 companies using Loomideck by the end of this year.